At running the risk of never being asked to speak to the media again I would like to share with you a little experience I had earlier in the week. A few days ago Mrs C spoke to a press officer at length for an article on National Adoption Week. The press officer asked if I could add to the article by emailing a paragraph explaining what I would say to a prospective adopter. So I sat down and my mind went blank, then filled to overloading with all that I should say. 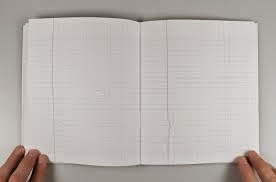 I sat and looked at a blank page and was at a loss what to write. Harsh truth or Disneyesque stories of giddy joy. Both wrong: both right. So what do I say? "Adoption has been the most amazing experience of our lives and has built a wonderful family around us. It has been exciting. I can't think of any downsides and we could not imagine our lives without any of our children and would certainly not hesitate in doing it all again." "Adoption has been the most difficult experience of our lives and we feel like a truly dysfunctional family. It has been challenging and I often wonder how I'm going to get through the day. I wonder if the pros outweigh the cons and we often reminisce at our lives before our children came. We would certainly not hesitate in doing it all again but we'd do it differently"
This is how I felt recently after being kicked, punched and slapped, but it the truth is more complex. "Adoption has been the most amazing experience of our lives and has built a wonderful family around us. It has been challenging and their have been difficult days. However, the pros outweigh the cons and we could not imagine our lives without any of our children and would certainly not hesitate in doing it all again." It feels like a compromise, bland and meaningless. If you've met me and spoke to me you know the truth. Hey, thank you for the comment. Being honest or critical don't mean we aren't for adoption, we just think it can be improved. Sorry it took so long to get back to you, no excuses.